But when you like your coffee strong, and someone gives you a weaker one than you are used to, it can be disappointing, can’t it? Or when you love a strong coffee, but you just cannot get that technique right, or when you want to experiment with stronger coffee. Trying new things with coffee is always tricky; you don’t know how to do it or what to do. Trying to give someone tips on how to make their coffee stronger and better is always a tricky one too. 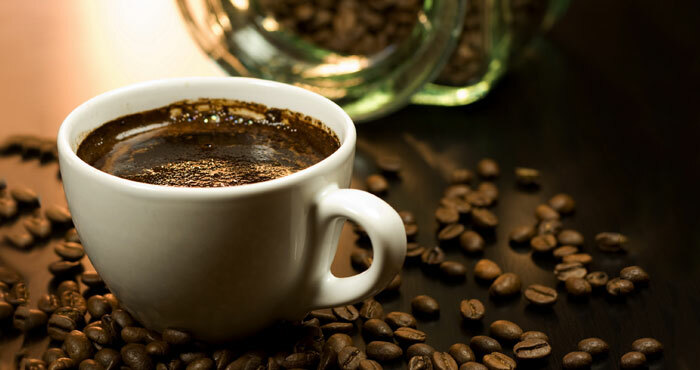 That’s why this article is here; to give you, family, friends, coffee lovers and coffee amateurs alike to read some tips and tricks on how to make strong coffee, every time, to perfection. Utilizing the tips will make sure you get your perfect strong coffee every time, and you may even find out some new information! This section will give you the tips and tricks you need to make a stronger, and hopefully, better coffee. 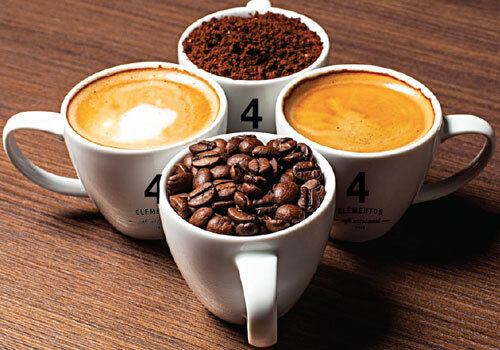 We will look at things like coffee beans, milk, types of coffee and more. Utilizing these tips will make your coffee all the much stronger, and will give you a better tasting coffee every time. These tips and tricks are taken and chosen for anyone, whether you are an expert in coffee, or an amateur in making coffee, looking for tips for yourself or for a friend or family member, this article is for you. When making a strong coffee, it is of vital importance that you get the coffee roast right. The roast that you choose will matter and thus, you should opt for one with a rich flavor if you are looking for a strong coffee. Dark roasts are the best types, like French Roast, as they produce the strongest cups of coffee. 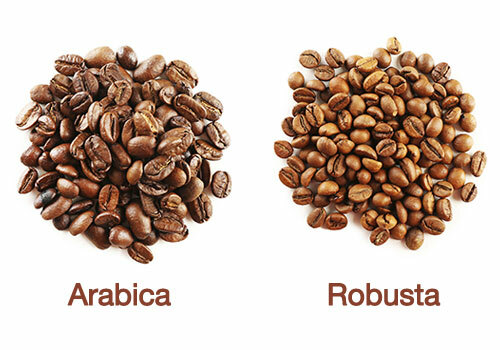 Although, coffee beans like Arabica and Columbia are the best ones to make a strong coffee, though are more expensive per pound than Robusta beans, which are also a more bitter tasting coffee than the others. Also, a blend of Arabica and Robusta will give you the best of both worlds if you are willing to try a blend of two coffees. Death Wish is also recommended for a nice, strong cup of coffee. The stronger the beans, the stronger your cup of coffee will be as a general rule. Do some research and try some out and you may be surprised that your coffee is a lot stronger and better with just a simple change of beans. Fresh coffee is the absolute key to having a perfect, strong cup of coffee. It will also ensure that you get the best out of your beans taste wise. Generally, the older the coffee, the more time it will have to lose its flavor, which will mean the strength will deteriorate. Equally, storing your beans properly will also alleviate this problem. Using whole beans whenever possible will help with the strength of your coffee and the quality of the beans will show through the final cup of your coffee, and the flavors will be concentrated if you’re going for the strength. 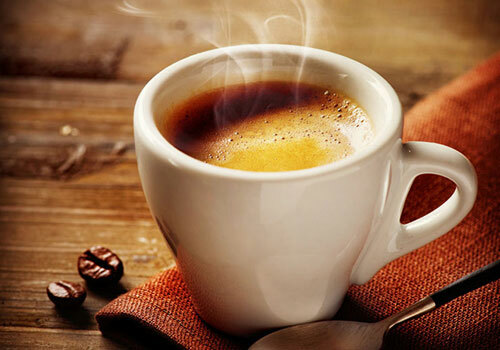 Generally, if you start with decent coffee, you will get a better flavor and the strength will be much, much better than coffee made with “subpar” beans. The fresher you go for with coffee, the stronger and better the taste will be. Using fresh coffee means that you can control your coffee grind and how it comes out. You can grind it as coarse or as fine as you like; the finer the grind, the more flavor is the general rule. However, it doesn’t always work, like with French Press, for example. The key is to grind enough to use at once, so it is as fresh as possible, and keep in mind that coffee loses a bit of its flavor after grinding, so if possible, wait to grind until the last minute. Doing this will provide more flavor, which means strength. 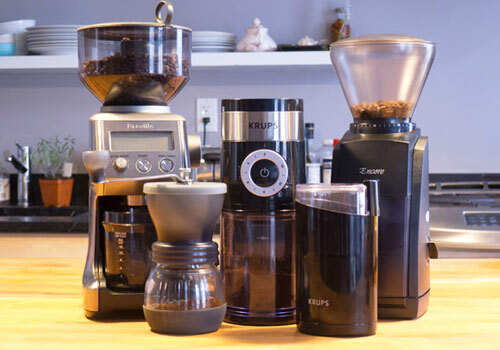 A burr grinder is also best and you can choose between automatic and electric models for grinding. If you use an automatic grinder, use a regular grind for your coffee, and if you use an espresso machine, a bit finer will do the trick. Another thing to look out for is your coffee to water ratio. The higher the coffee to water ratio is, the stronger the coffee will be. One user reported a 2 tablespoons per 6 ounces of water ratio would be recommended to “pack a punch“. In this ratio, 1 tablespoon would be a mild cup of coffee, and 2 tablespoons would be a strong cup of coffee. If you get the ratio slightly out, the coffee will not taste quite right, and put in too much water and it will be quite weak. Though with this in mind, watch the coffee you are using. For example, if you are using a dark roast of coffee then you do not need to worry about using more coffee than normal. Experiment with the ratios though because everyone likes their coffee differently and trial and error is the best way to find out how you like it. Your coffee will only ever be as good as the ingredients you use to make it. Therefore, brewing with water that is clean and purified will make sure your coffee has its full flavor, which will mean the strength will not be affected. Another thing to watch is the temperature, which is a separate tip all together. If your water tastes “off,” is too hard, not purified enough, then your coffee will not taste as it should either. Equally, if your water is too purified then there will be issues with the taste and strength of your coffee also. Using purifying tablets or a filter for your water if you have hard water out of the tap is the best way to ensure the water is the perfect environment to make your coffee, though you can also use bottled water. Of course, also check if your tap water is hardened or not. If it is not, then you will be fine to use regular tap water. Getting the right temperature for your coffee is integral to not only the taste of the coffee, but it will affect the strength also. Getting it too hot or too cold can have detrimental effects for the coffee’s strength, and when wanting to get the best out of it, it is vital. Water that is too hot for your coffee will take out compounds within the coffee that are bitter and unpleasant. The best temperature for brewing a coffee is between 195 degrees Fahrenheit and 205 degrees Fahrenheit, or a good alternative is to wait around 45 seconds after a full boil. If you have your water hotter than this, it will burn the coffee, like mentioned above. 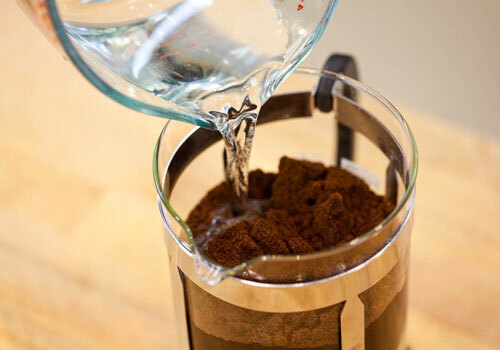 If the water is too cold, then it will not properly extract the flavors, oils, and strength from the coffee beans. Most coffee makers regulate the temperature of the water automatically. Coffee has what they call a “sweet spot” meaning the time where most of the flavor has dissolved into the water, but those unpleasant flavor compounds are still locked into the coffee grounds. To get this perfect for your tastes, this can take a bit of experimenting. But generally, aim for between two and four minutes of contact if using a French Press, and five minutes if using a pour over or drip system. Lengthening this time will lead to the coffee’s full strength and flavor, however, be careful not to overdo it, because letting it go over will lead to the coffee being flat and bitter. There are lots of ways to brew your coffee and each comes with their own variables that make them unique for every type of coffee. Experimenting will get you finding out what works for you and your type of coffee, and everyone likes their coffee different, so the best way to find out is to try and try again! A few options for strength are: Aeropress – faster than a French Press and makes strong coffee. A Turkish Coffee is made with fine grounds being left in the cup, making the strongest coffee next to the espresso. A Cold brew coffee creates a strong cup without any of the unpleasant flavors you can get from over extraction; however, this can take 24 hours. As with anything, the cleaner your equipment, the better the taste will be. 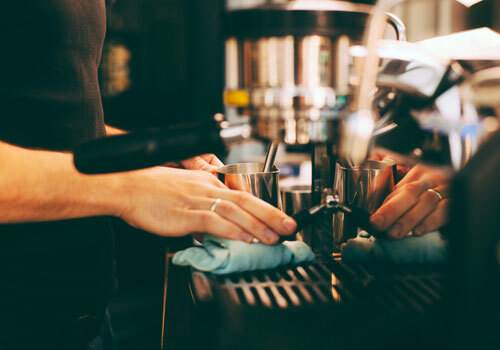 As a general rule, cleaning all your equipment after every use is the best way to make sure you get maximum taste and strength in every cup you make. Coffee oils will develop into coffee tars when left to accumulate, and when this happens, they will partially dissolve when in contact with water or coffee. This will make a bitter flavor in the finished cup of coffee, making the strength less. Checking your system will help this. If you use a coffee maker or a pour over method, make sure the water falls into an even stream and wets all the coffee evenly. You can try mixing the grounds also, so there are no hard packed areas that disrupt the even water flow. Everyone has a different idea of a strong cup of coffee. This means, you will have to go through some trial and error to get yours perfect for you, or go through with a family member or friend to find their perfect cup. This means messing around with the settings on grinders, brew makers, testing the temperature and method you are using, how much milk, or if any milk at all, and so on until you find the coffee you can sit back and enjoy. If you are finding that the first time you try it, the coffee isn’t strong enough, add a bit more coffee or brew it for a bit longer. If you are finding it is too strong, then scale the amount of coffee back, or brew it for a less time. Testing the coffee is the only sure fire way to work out if you are doing it perfectly for you. In conclusion, making a strong cup of coffee may be easy, however, it can be a tricky and form to perfect for even the most experienced coffee maker. These tips range from things that sound easy to things that require practice, but all in all will help make you a perfect master at making a stronger coffee for yourself or people you know. Some of these tips mean you will have to experiment and keep trying, like testing and grinding, however, because coffee is different for everyone, this is a crucial step in finding the right strength for you, or whomever you are making coffee for. These tips can be used by anyone, and are universal so they are easy to interpret and utilize when you next make a cup of coffee. So, I hope these tips are useful to you and that you find your perfect strength of coffee in no time! 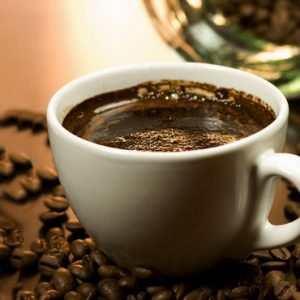 This is a great helpful article about coffee making. I am a coffee lover. I like brown coffee. Thank you for your valuable information and tutorial.